When J.R.R. Tolkien’s 125th birthday was about to be celebrated – in 2017 – a bunch of Tolkienists from all over the world came together on Instagram to do just that: share in their mutual interest in Tolkien’s stories. 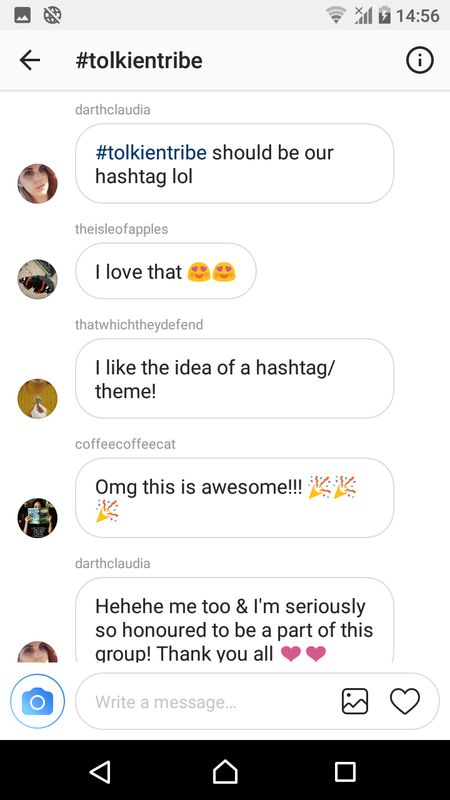 Very quickly sixteen of us gathered around an Instagram chat started on Jan 1st, 2017, which was soon called “TolkienTribe” and this became our hashtag. I joined the chat the next day, early in the morning, together with most of the rest of us. 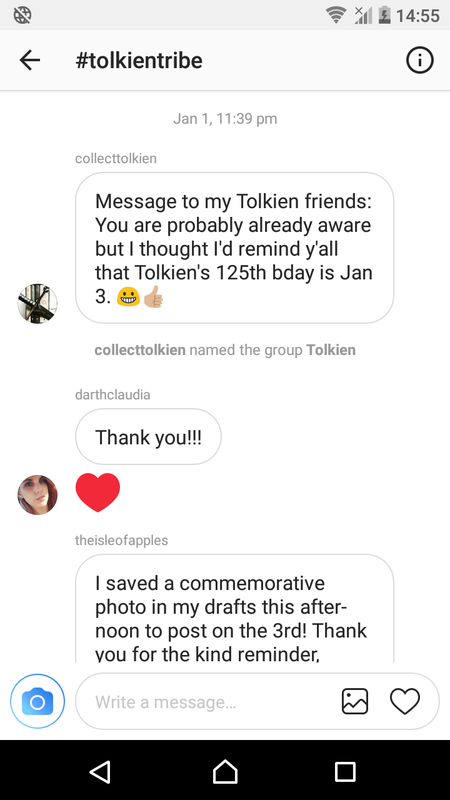 One of our earliest members who left the group as she worked on other projects – Darth Claudia – suggested using #TolkienTribe – and so our common hashtag was born. We as a group weren’t the first to use this hashtag (we didn’t know back then and never really thought about it.) The first ever usage of the hashtag happened with this charming instagrammer – according to the IG search – on Nov 25, 2014. 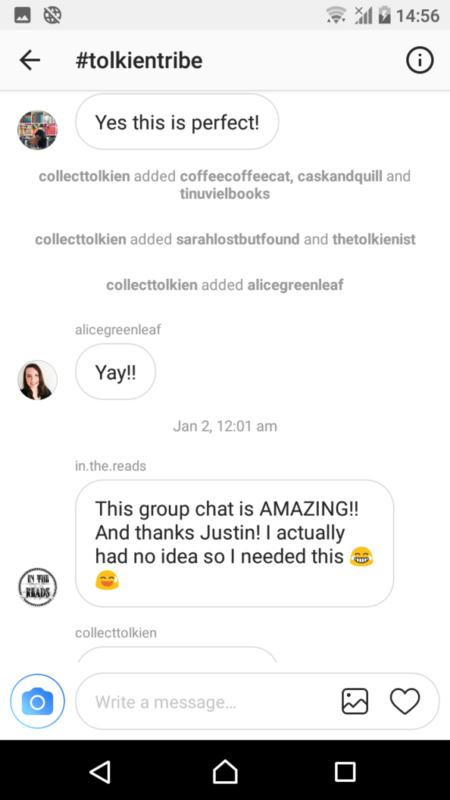 Another IG user wrote down #TolkienTribe on Nov 21, 2015. On April 19, 2016 this Instagrammer took up the flag. Only one more Instagrammer used the hashtag before our “very own first” entry. Our very own Sarah was the first to post using our ‘new’ hashtag and since then many others have taken it up. We have been incredibly lucky to have found many friends and supporters who are helping us out in our ventures – true Tolkien fellowship style; unfortunately, they are too many to mention of all of them here. However, please do know that we appreciate all of your time and effort in sharing the fun and inspiration we all derive from reading Tolkien’s stories and the work inspired by them!